Easter is nearly here, YAY! 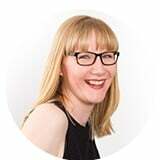 I love Easter, no surprises there though really as it’s no secret I’m a chocoholic! 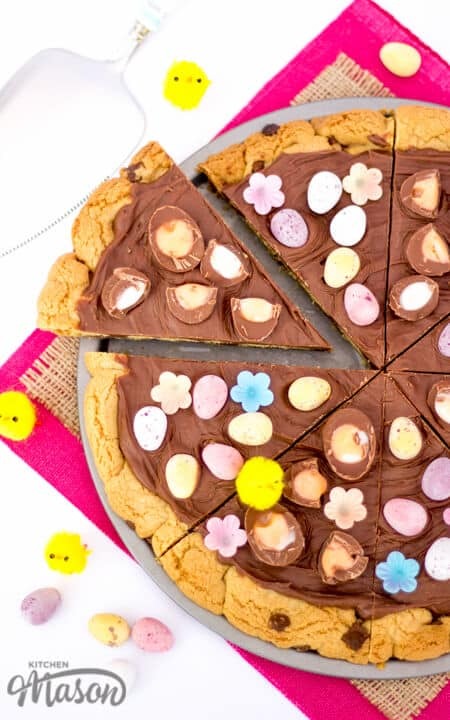 How about we celebrate with a bang with this amazing Easter Chocolate Cookie Pizza? 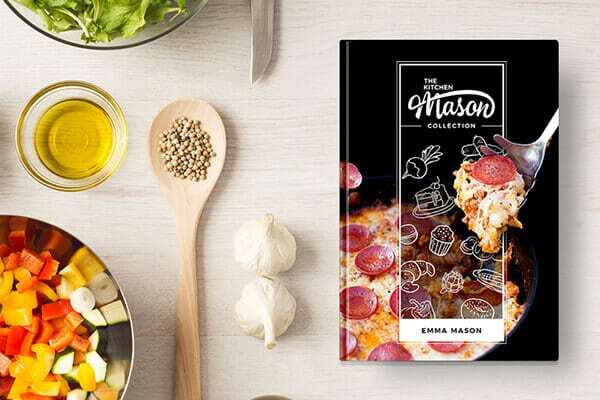 Not only does it look super awesome, it tastes delightful too and it’s perfect for getting the kids involved over the holidays! I’d say that’s a win win win wouldn’t you? Here is what you will need to generously serve 8. 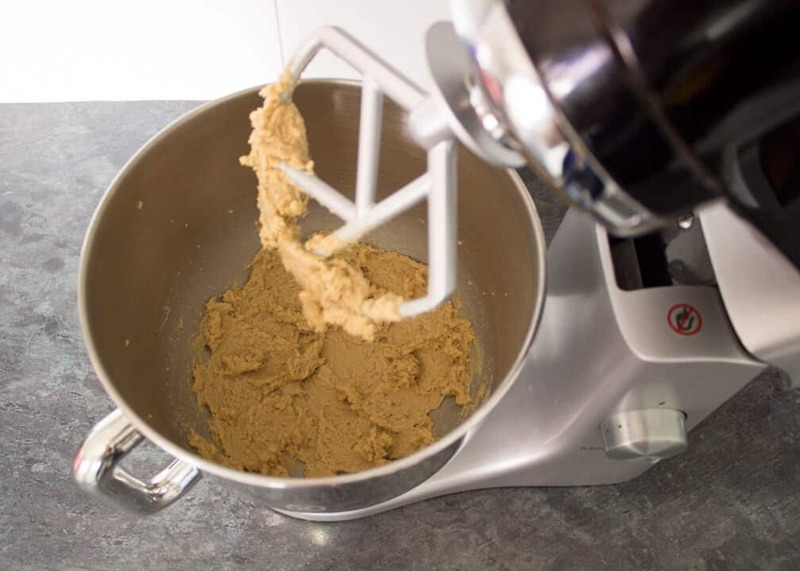 Lightly grease and line the base of your baking tin & preheat your oven to 180°C/Fan 170°C. 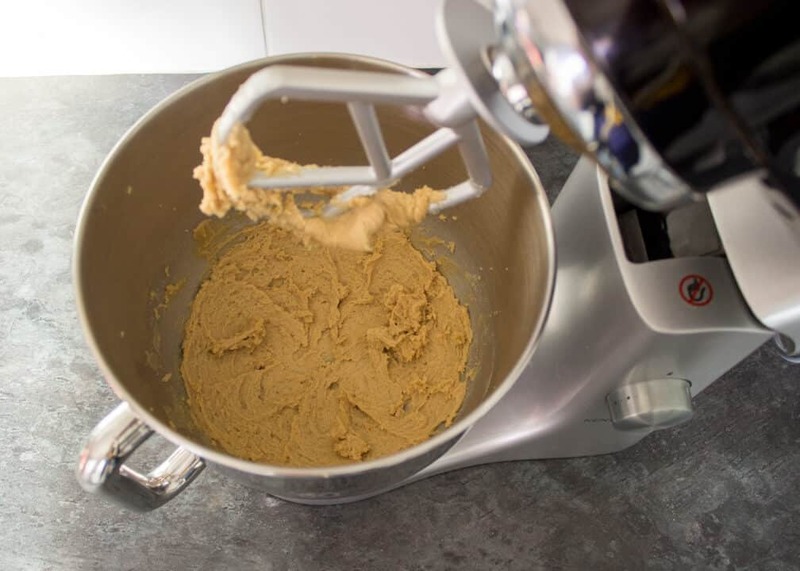 In an electric stand mixer or a large bowl with an electric hand whisk, cream together the butter & sugar until light & fluffy. Next, add in the egg yolk & vanilla and beat again until smooth. 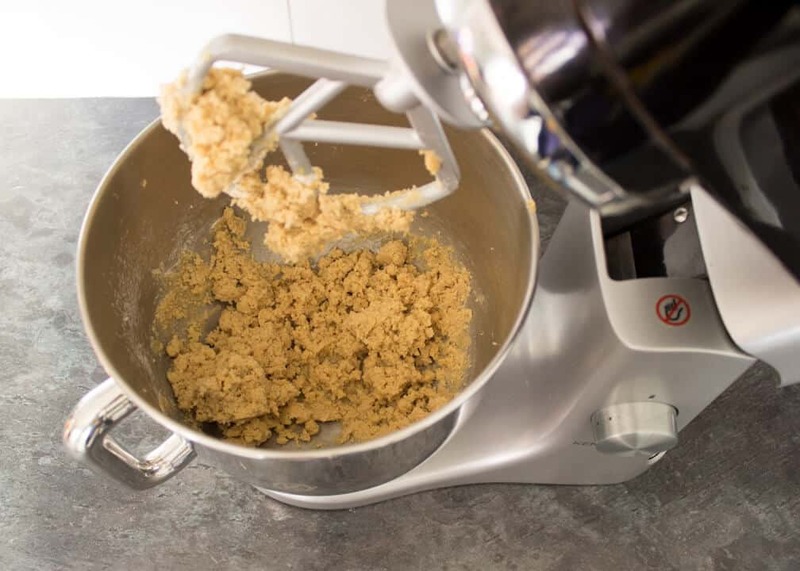 Then sift in the flour, bicarbonate of soda & salt and beat briefly until it comes together to form a dough. 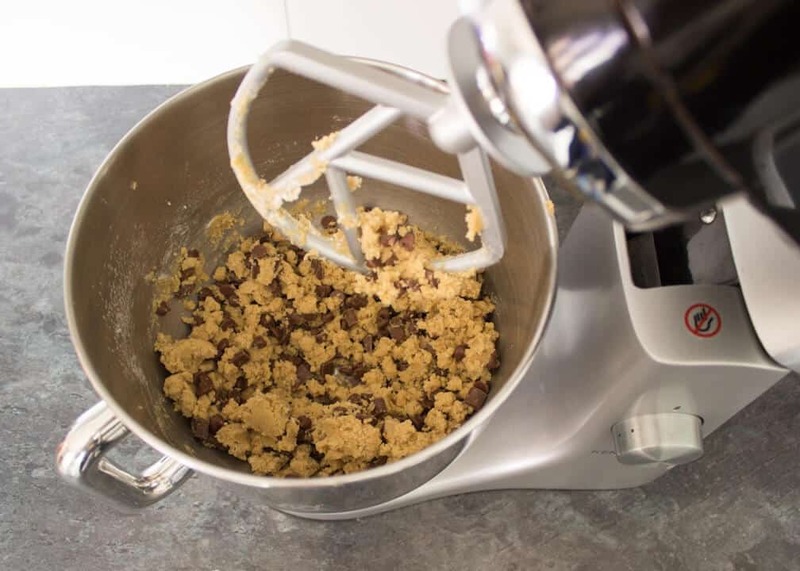 Finally throw in the chocolate chips & mix again very briefly just to evenly distribute them. 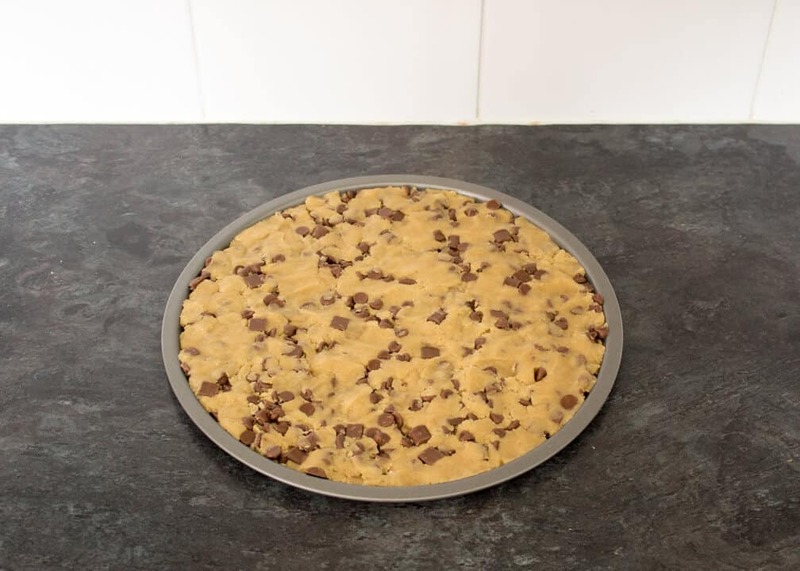 Now tip the dough out onto your prepared pizza tray and press it in until it covers the whole tray evenly. 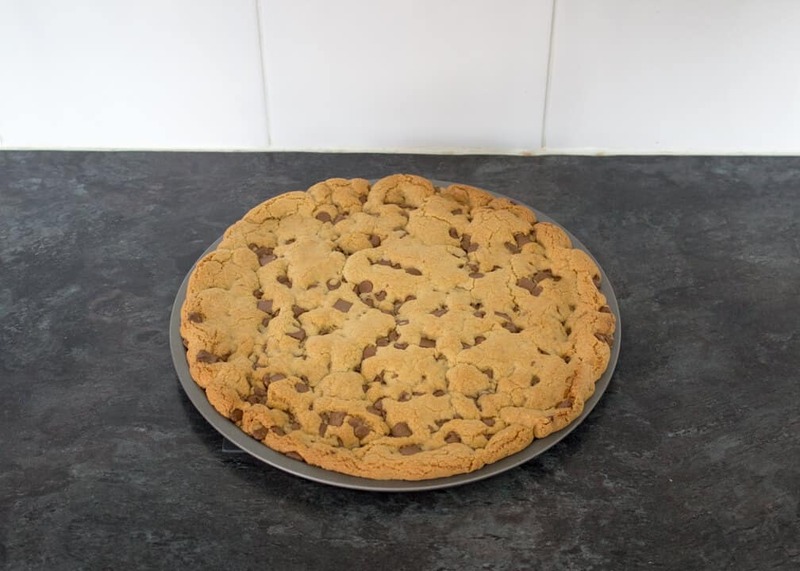 Pop your giant Easter Chocolate Cookie Pizza in the preheated oven to bake for 12-15 minutes until golden on top. Allow to cool completely before moving onto the next step. 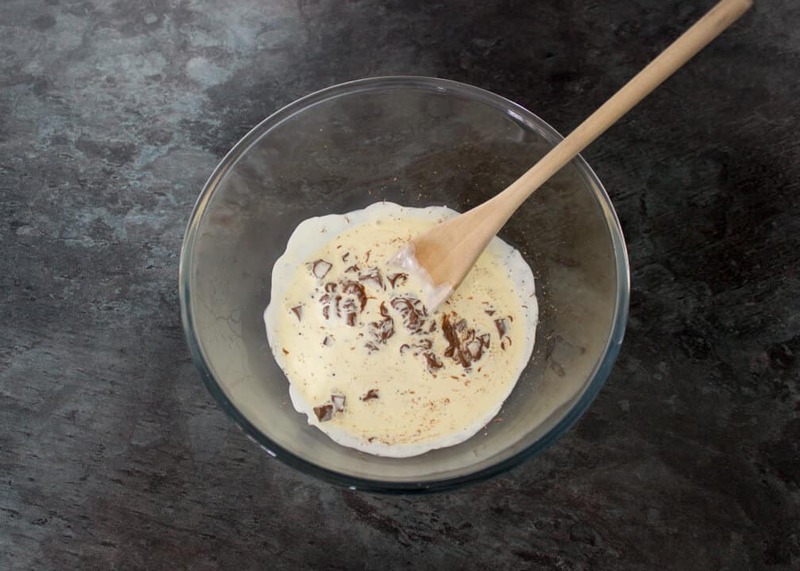 If you haven’t already, finely chop the chocolate and place into a large bowl. Then gently heat the cream in a saucepan over a low heat until it just comes to the boil. Pour the hot cream all over the chocolate and leave to sit for 5 minutes. 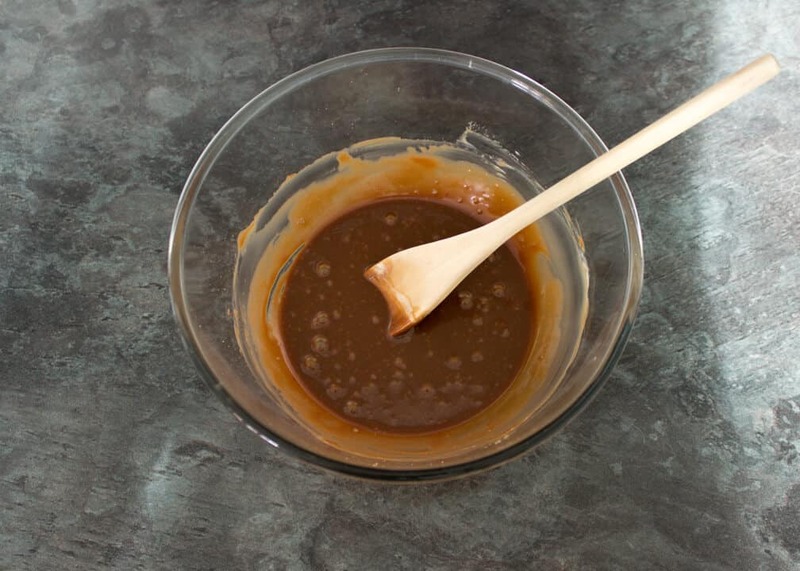 When the time is up, stir well until it’s a lovely smooth & shiny ganache. It should be quite thick. If there are still a few lumps, don’t worry. Just pop it into the microwave for 10 seconds and stir again. That should do the trick! 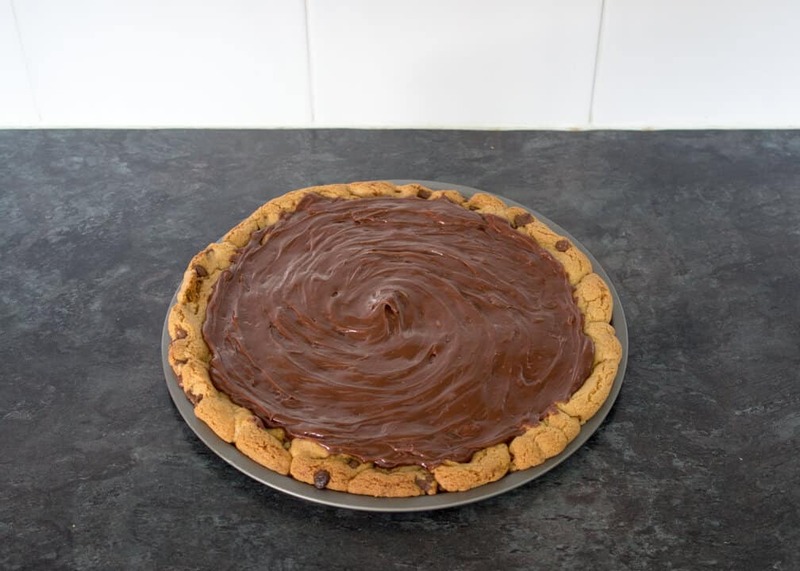 Pour the ganache over your cooled pizza and spread almost right to the edges. You can go about this however you like. I like to half & quarter some of my Creme Eggs so they go a little further plus they look more tempting! 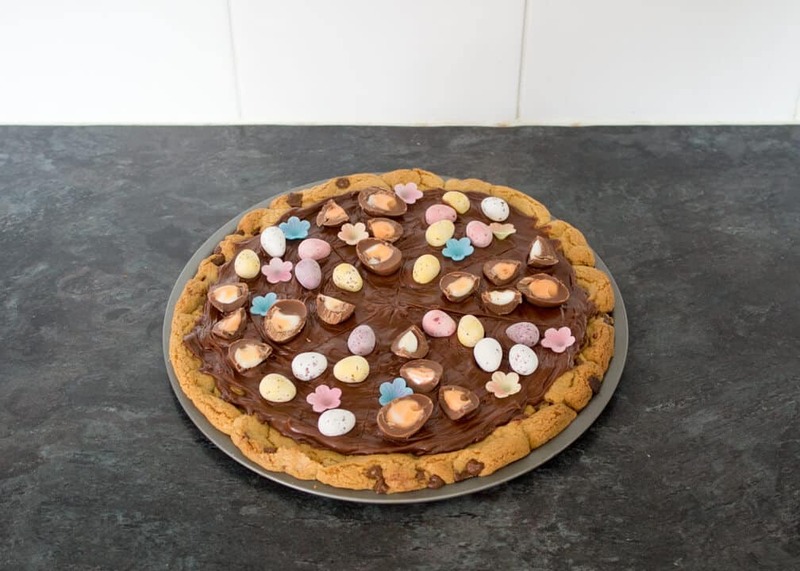 I opted to have alternate slices of Mini Eggs & Creme Eggs but you could mix them up if you want to. Firmly press each chocolate/flower into the ganache then allow to set completely for at least an hour. You can pop it in the fridge to speed up the process if you like. When set, cut into 8 large slices. Store in an airtight container (I prefer metal) at room temperature and consume within 3-4 days. 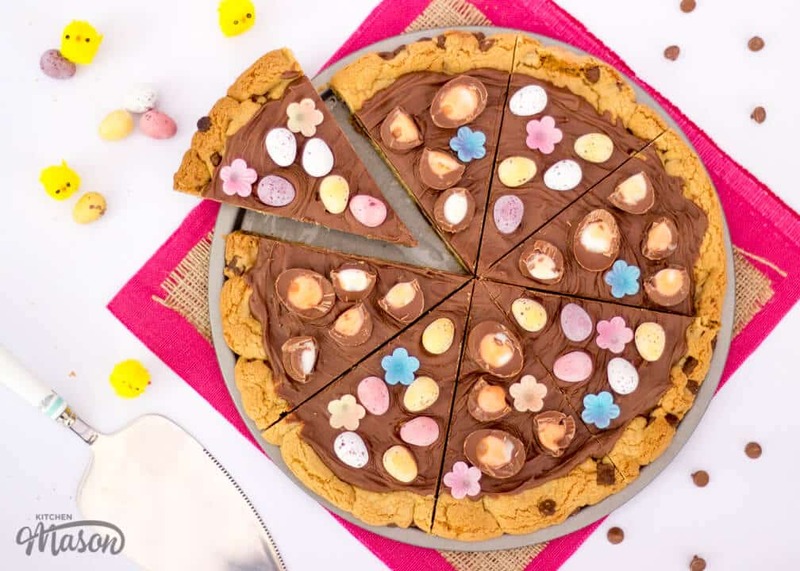 I can’t think of anything I actually want more at Easter than this beautiful (in every way) Easter Chocolate Cookie Pizza. 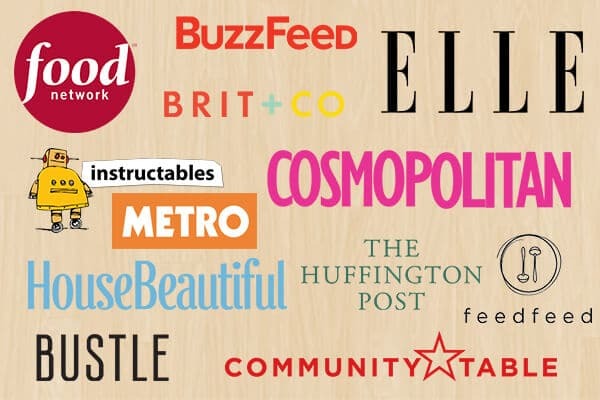 It literally has it all! Crunchy crumbly cookie loaded with chocolate chips, gooey Cadbury’s Creme Eggs, colourful chocolate Mini Eggs & pretty flowers to top it all off. You know you need to try this one!! This is so cute! I’m pinning this and there’s a good chance I’ll be making it for a family get together this Easter. Thanks for sharing such a sweet post. Aww that’s so sweet of you to say, thank you!